Cross-party politicians have joined calls for a review into a decision not to award a £1.5bn contract to a North-East train builder, describing it as a “slap in the face”. It had been revealed that Transport for London (TfL) knew Siemens intended to build new trains to serve the London Underground’s Piccadilly line in Austria almost a year before they awarded the contract. A joint bid between Newton Aycliffe-based Hitachi and Bombardier lost out in the bidding process, leading to claims that TfL had “undermined their commitment” to UK manufacturing and Siemens had”pulled the wool” over their eyes. Siemens vowed to invest in a new factory in Goole, East Yorkshire, as part of the deal, but bosses admitted to the Echo last week they face “quite tight” deadlines as to whether the factory will be open in time to construct the trains, which are expected to enter operation in 2024. 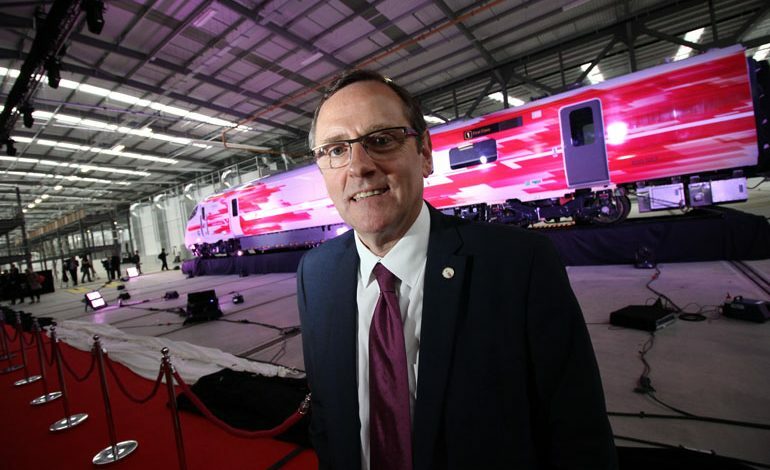 Sedgefield MP Phil Wilson, who’s leading the campaign, said: “When I was informed Hitachi’s joint bid with Bombardier lost out to Siemens for the contract to build Deep Tube trains I found the decision disappointing to say the least. “But when I discovered that Transport for London were aware the majority of these trains would be built in Austria not the UK, the decision is not just disappointing but outrageous. “Originally I was informed that Siemens would be building a new factory in Goole as part of the deal. “However, following a Freedom of Information request it appears that TfL knew that Siemens intended to build the trains in Vienna. “It leads me to wonder whether any of the trains will be built in the UK? “Workers I have spoken to in the Newton Aycliffe Hitachi are angry, and they have every right to be. “The decision to award the contract to Siemens undermines a commitment to manufacturing in the UK. “I have written to the London Mayor and TfL to raise my concerns about the decision that was made. Other politicians have also weighed in, including Mr Wilosn’s Labour colleagues as well as the Tory Tees Valley mayor Ben Houchen. Alex Cunningham, Stockton North MP, said: “It beggars belief that Transport for London were fully aware that their new trains would be built abroad – yet still awarded the contract to an overseas company. “Hitachi met with MPs just last week to talk about the challenges they were facing and how they were working with their supply chain to help secure contracts for the Newton Aycliffe plant to help sustain the thousand jobs there and many more in the supply chain. Redcar MP Anna Turley said: “This latest news is another kick in the teeth for North East manufacturing and begs the question why Transport for London continued to favour the Siemens bid when it was well aware that two thirds of the trains would not even be built in the UK. Mayor Houchen added: “For as long as we are a member of the EU we’ll continue to be subject to strict public procurement rules. Previous article Team Sky to become Team Ineos!